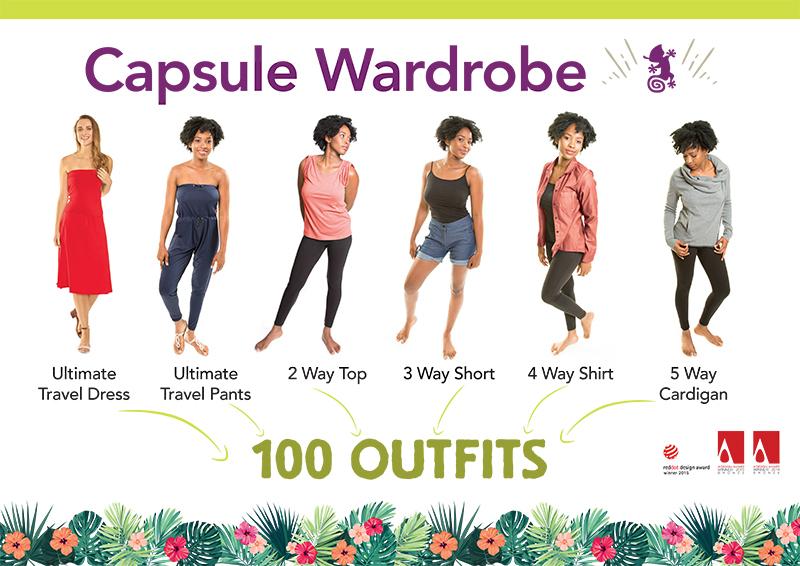 Home › News › What is a Capsule Wardrobe and why you need it? So maybe you have heard of a capsule wardrobe or it’s the first time.. Basically it’s a collection of items you can mix and match and create all the outfits that you need. Obviously, at Kameleon Rose we decided to take that to the next level! We offer you more than items that just mix and match but items that can each be worn in so many ways. Let’s go through the items. The Ultimate Travel Dress, you already know our ‘magic dress ‘ that can be worn in 20 ways, (well actually for the die hards there are 52 ways!!) And if you have not already seen, it is now finally available in Tribal Print. The Ultimate Travel Pants. They are new and were selected as the Outdoor industry award finalists for 2018 :) What’s so special? 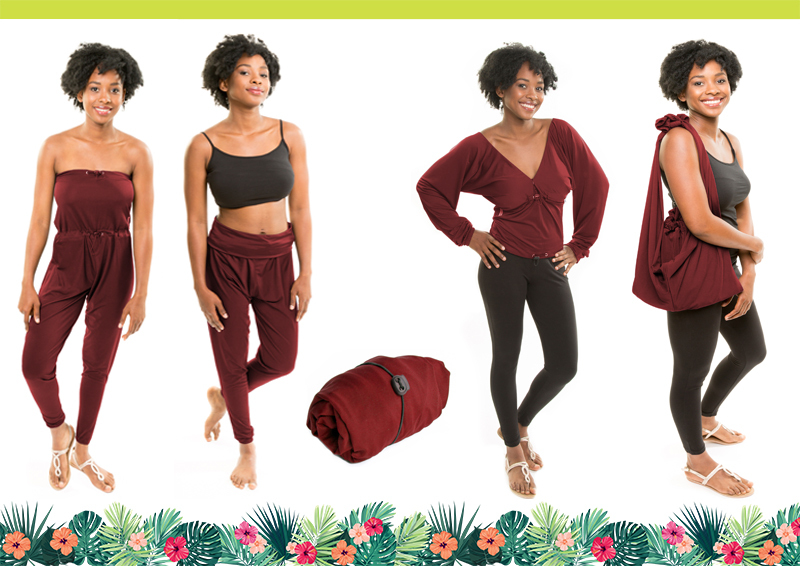 They can be worn as a jumpsuit, pants, long sleeved top and even a bag! Can we be worn as t- shirt or vest top. Can be worn as 3 different lengths and is a great fit. 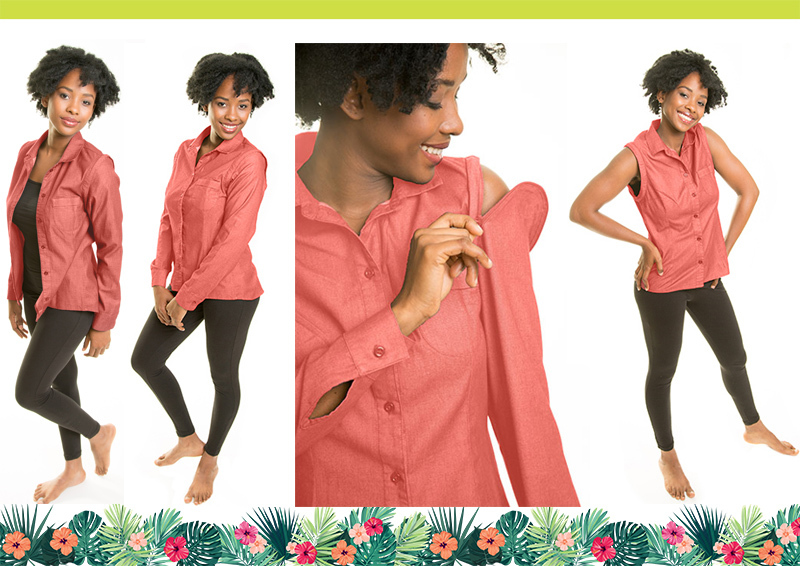 This shirt is really awesome, the fabric is UV proof and anti-mosquito you can smell of lovely citronella and keep those annoying mosquito away. AND the best thing is the sleeves are removable so you can go from shirt to top in a quick zip. Available in coral and khaki. This snuggly cardigan can look really elegant as a waterfall cardigan or really chilled as a hoodie, you decide. We love it combined with the Ultimate Travel dress or pants. We are offering a special offer if you buy 3 items or more we offer you a 25% discount with discount code - CAPSULE . Grab yours whilst offer lasts, happy travelling girls!